“Who Will Write Our History” will screen in Hartford, March 17, and in New Haven Jewish, April 9. HARTFORD – “Who Will Write Our History,” the film based on Trinity Professor Samuel Kassow’s book of the same name, recently premiered to sold-out audiences at the New York Jewish Film Festival at Lincoln Center. The film also sold out at four screenings at the Quad Cinema in Manhattan late last month. And on Jan. 27, the film had a “Global Screening” in more than 300 theaters and museums in 55 countries around the world as part of UNESCO’s International Day of Commemoration in Memory of the Victims of the Holocaust, which marks the anniversary of the liberation of Auschwitz-Birkenau by Soviet troops in 1945. Yet, if not for a glowing book review published in 2008, this film may never have been made. Kassow published Who Will Write Our History? Emanuel Ringelblum, the Warsaw Ghetto and the Oyneg Shabes Archive in 2007. 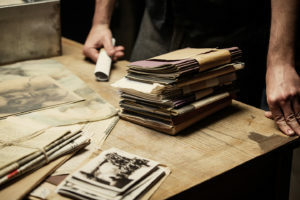 It tells the story of a group of Jews, led by historian Emanuel Ringelblum who, in 1940, courageously began gathering information and testimonies about what was happening to the more than 450,000 Jews in the Warsaw Ghetto. Ringelblum’s organization was codenamed “Oyneg Shabes” (Joyful Shabbat). The scholars, journalists and community leaders of Oyneg Shabes buried the testimonies, documents, photographs, and other materials in metal boxes and milk cans underneath the ruins of the ghetto for safekeeping. Some of the documents were retrieved in 1946 and 1950. Today they are housed at the Jewish Historical Institute in Warsaw. The film “Who Will Write Our History,” written and directed by Roberta Grossman and executive produced by Nancy Spielberg, depicts the members of Oyneg Shabes and their undertaking through documentary footage, writings from the Ringelblum Archives, interviews and filmed reenactments. Connecticut audiences will get a chance to see the film when it plays at the Hartford Jewish Film Festival on March 17 and at the New Haven Jewish Film Festival on April 9. 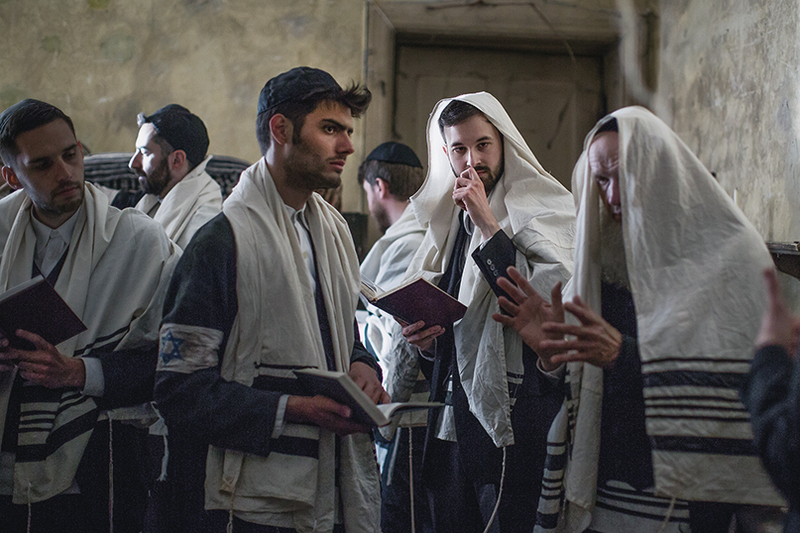 The film focuses specifically on two members of the Oyneg Shabes, Ringelblum and Rachel Auerbach. Born in 1900, Ringelbaum was a member of Poalei Zion, a left-wing Jewish party. He was also a founder of YIVO Institute for Jewish Research, established by scholars and intellectuals in Vilna, Poland in 1925 to preserve the Yiddish language and to study the Jewish culture throughout Eastern Europe. After escaping from the ghetto, Ringelblum and his wife and son were recaptured and executed in a Polish prison in 1944. Born in 1903, Auerbach, a “member of the Polish-Jewish literary elite,” ran a soup kitchen in the Warsaw Ghetto while writing down the stories of her fellow Jews. 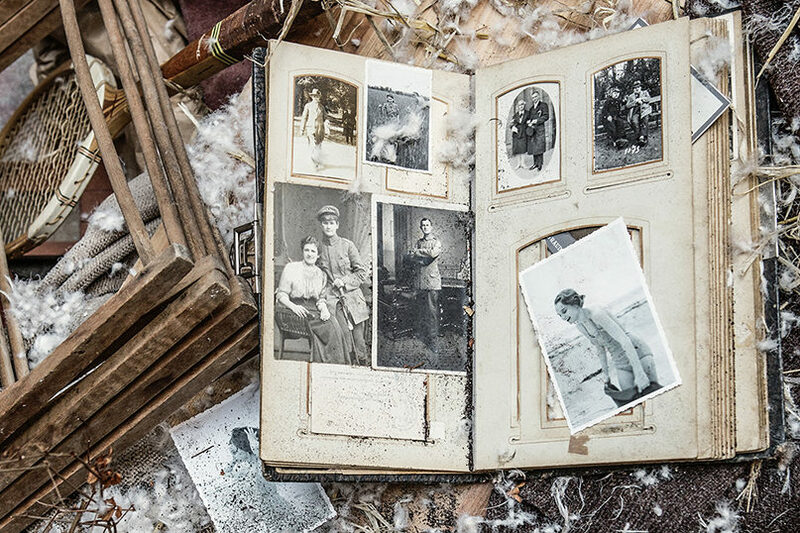 One of only three of the group’s 60 members to survive, Auerbach helped to find the Archive after the war. After moving to Israel in 1950, she worked at Yad Vashem where she served as founder and director of the Department for the Collection of Witness Testimony. 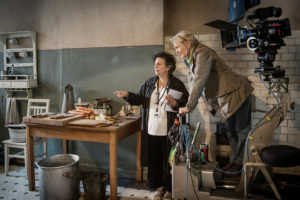 In the film, Ringelbaum’s words are given voice by Adrien Brody, the actor who starred in “The Pianist”; actress Joan Allen speaks for Auerbach. Kassow attended the film’s screening at Lincoln Center, where he took part in a panel with Nancy Spielberg, Joan Allen and New York Jewish Film Festival Director Aviva Weintraub. Kassow called it “a great film,” and says he understood that it tells just a portion of what is in his book. “As Roberta Grossman says, the film is to a book what a haiku is to War and Peace,” he said. “The film only can tell a very tiny part of this story. 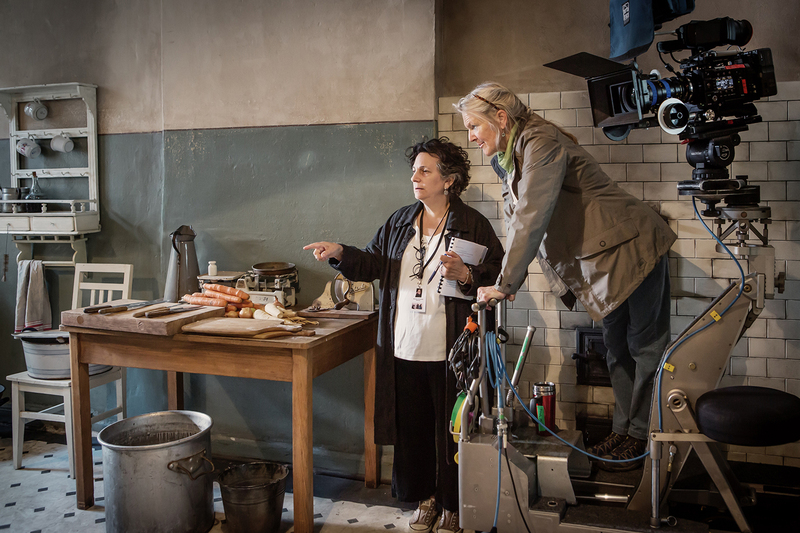 The book is almost 500 pages; the film has to be 90 minutes, so the film has to tell a very clear story. A lot of people say, ‘Well, why didn’t you mention the bund? Why didn’t you mention the Judenrat? Why didn’t you mention Marxism?’ That is all in the book. “But the film tells the story of the archives, the human drama. It’s anchored by two individuals, Emanuel Ringelblum and Rachel Auerbach, and [the story is told through] talking heads, German film footage – which has to be used with caution. But the real pillars of the film are dramatic recreations. So there are a few purists who don’t like recreations, but without recreations, you couldn’t tell the story,” he says. “Who Will Tell Our History” is in Yiddish, Polish and English, with English subtitles. 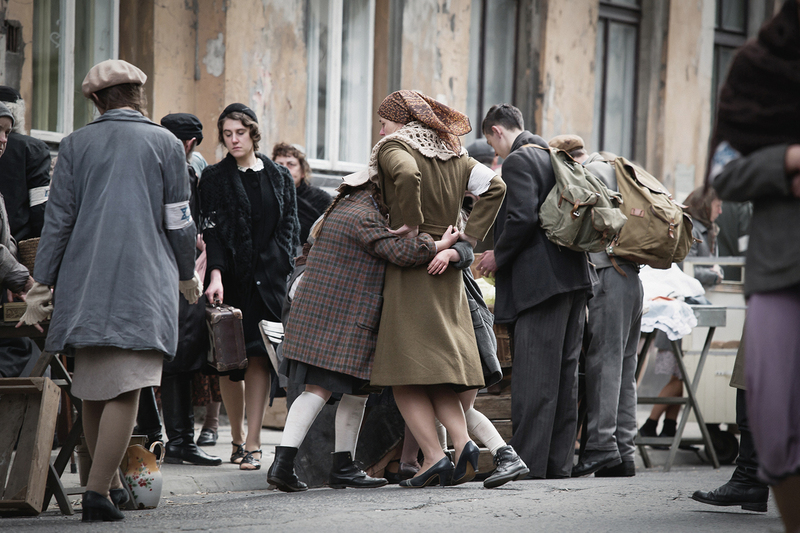 The dialogue in the film’s dramatic recreations comes from the actual writings of people in the Warsaw ghetto who told their stories to the Oyneg Shabes. Kassow was on hand in Poland during the production, serving as an advisor on the film. 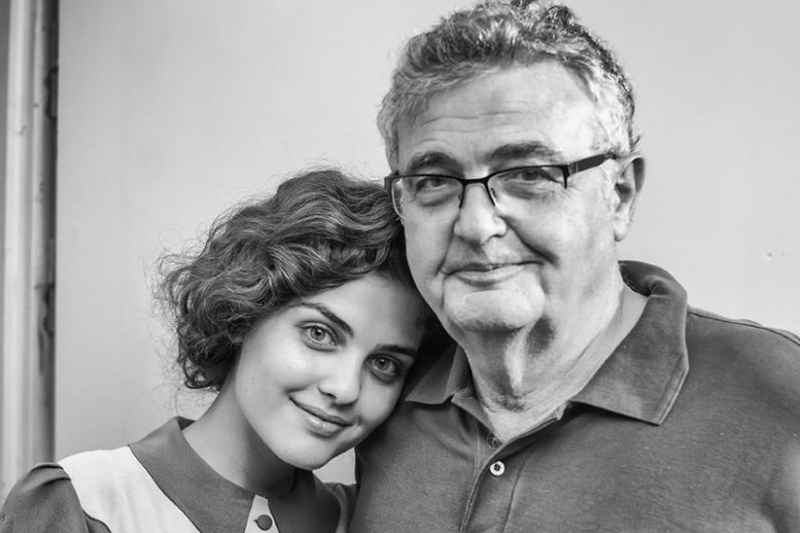 He was accompanied by his wife, Lisa Pleskow Kassow, director of Trinity College Hillel, who was an extra in the film, and their daughter Serena, who gets a little more screen time. “Lisa appears for half a second. But Serena has about 10 seconds and she looks really great,” Kassow, the proud father, says. Sam and Lisa Kassow attended the “Global Screening” of the film at the Paris headquarters of UNESCO on Jan. 27. Sam Kassow was participated in a panel discussion after the Paris screening with Grossman and Spielberg, and moderated by Stephen Smith, UNESCO Chair on Genocide Education. The debate was streamed live on Facebook. Mandell JCC Hartford Jewish Film Festival, March 17. For information: hjff.org. New Haven JCC’s Beckerman Film Series, April 9. For information: jccnh.org.